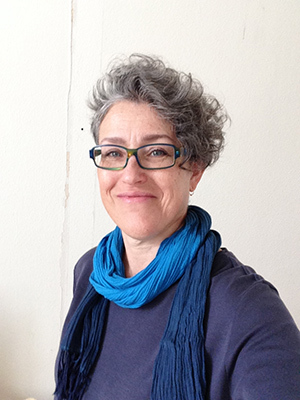 Ditchling Museum of Art + Craft are delighted to announce their new Director will be Steph Fuller. Steph will take up her new role on 3 January 2018, bringing with her a wealth of arts and cultural leadership experience. Since 2013 she has headed up Ideas Test, the action research programme she set up aimed at increasing cultural engagement in an area of Kent, currently in the bottom 20%. Over the last four and a half years Steph has driven forward the vision and realisation of this £2m project, winning a grant from Arts Council England to see the project through to its second phase. Prior to that she held senior management roles at Arts Council England, developing new business models and ensuring the financial viability and resilience of regional arts organisations. Steph succeeds Nathaniel Hepburn who left in September after three and half successful years to take over as Director of Charleston Trust. Ditchling Museum of Art + Craft holds the work of a group of internationally renowned artist and craftspeople who lived in the picturesque South Downs village at the turn of the 20th century. The museum celebrates their work and lives and holds many of their works, forming an internationally important collection and offering visitors the rare opportunity to see these special objects and works of art and craft in the village where they were created. The museum is looking forward to a year of exciting programmes and events, including its current show, New Truth to Materials: Wood, which looks at how artists, designers and craftspeople respond to natural materials. Coming in January is an extensive retrospective of work by Elizabeth Friedlander, an outstanding mid-century artist, designer and typographer, followed in May by Belonging, an exhibition of incredible works by the artist Sister Corita Kent, who taught her fellow nuns to print their own religious propaganda using a pop art aesthetic inspired by Andy Warhol. The programme will be accompanied by an exciting collaboration with contemporary artist Morag Myerscough. Earlier this year the museum held the major exhibition Eric Gill: The Body, co-curated by Nathaniel Hepburn and sculptor Cathie Pilkington, which asked visitors to examine their responses to the work of Eric Gill who lived in Ditchling and whose work is held in the museum’s collection. The Ditchling Museum of Art + Craft was founded by Joanna and Hilary Bourne in 1985 and holds an internationally important collection of work by the artists and craftspeople who were drawn to the village. The sculptor, wood engraver, type-designer and letter-cutter Eric Gill, calligrapher Edward Johnston (responsible for the famous Johnston typeface used for London Underground), painter David Jones, printer Hilary Pepler, silversmith Dunstan Pruden and weaver Ethel Mairet. The impact of the many artists and craftspeople who came to live and work in Ditchling from the beginning of the 20th century onwards established this village as one of the most important places for the visual arts and crafts in Britain. After a £2.4 million redevelopment the museum re-opened in September 2013. It was an Art Fund Museum of the Year finalist in 2014 and was placed on the RIBA Stirling Prize Midlist in 2014. In addition to its permanent collection, the museum presents three exhibitions a year inspired by these inspirational arts and crafts, and includes a lively programme of events, workshops and talks.